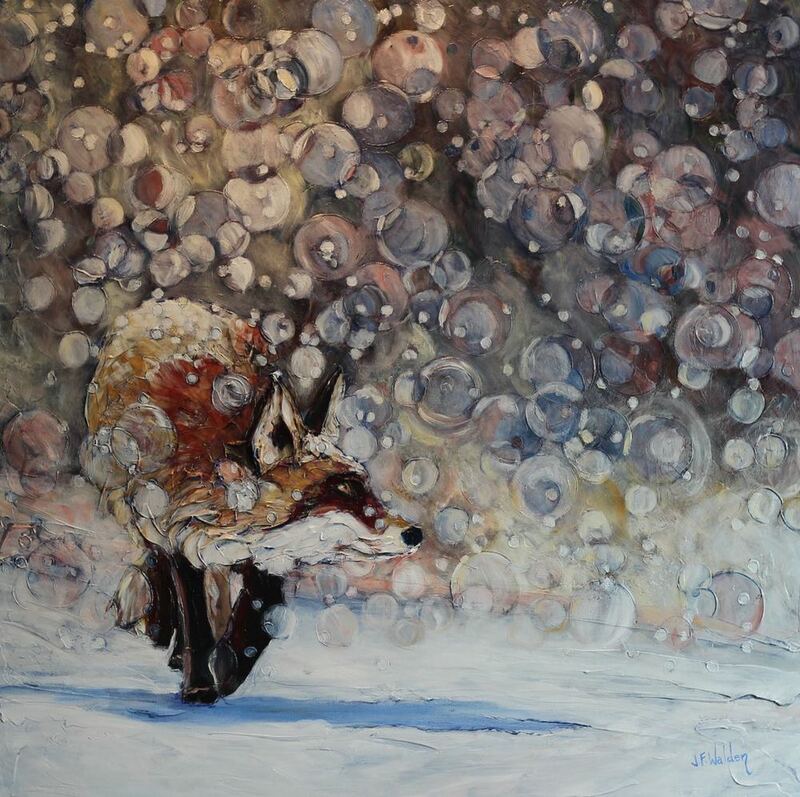 Jen's distinctive style explores Canadian and Northern life through people, wildlife and topography. 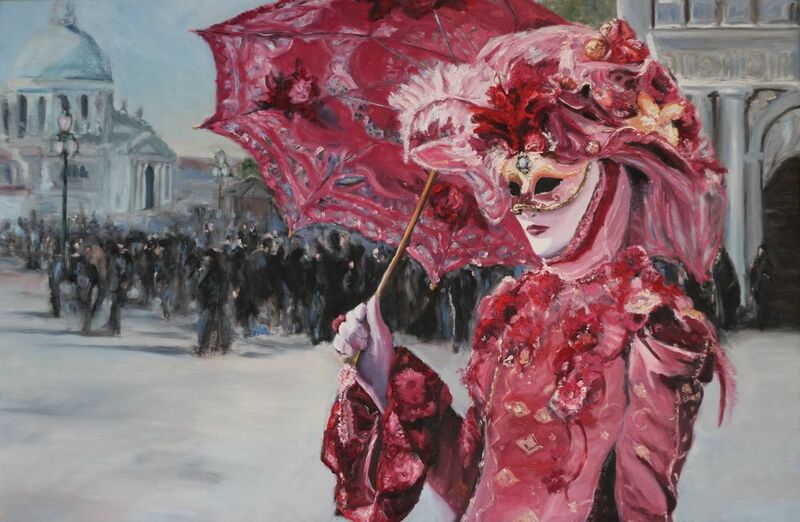 She works primarily in acrylics, using vibrant colour, rich texture, dynamic line and three-dimensional relief to create a truly sensual experience. Her contemporary expressionistic paintings capture the spirit of place, and often use string and rope blended with various acrylic media to create the deep sculptural relief that is her signature. Walden’s work has been widely acclaimed across northern and western Canada and has been purchased by collectors from around the world. 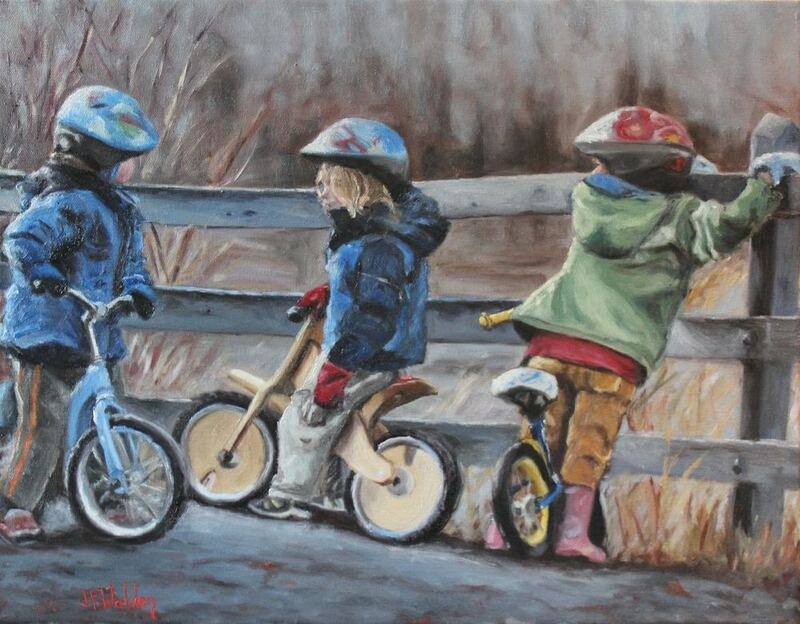 She has been selected to represent the Northwest Territories at various events including the 2010 Winter Olympics in Vancouver where her work was exhibited to over 215,000 visitors. 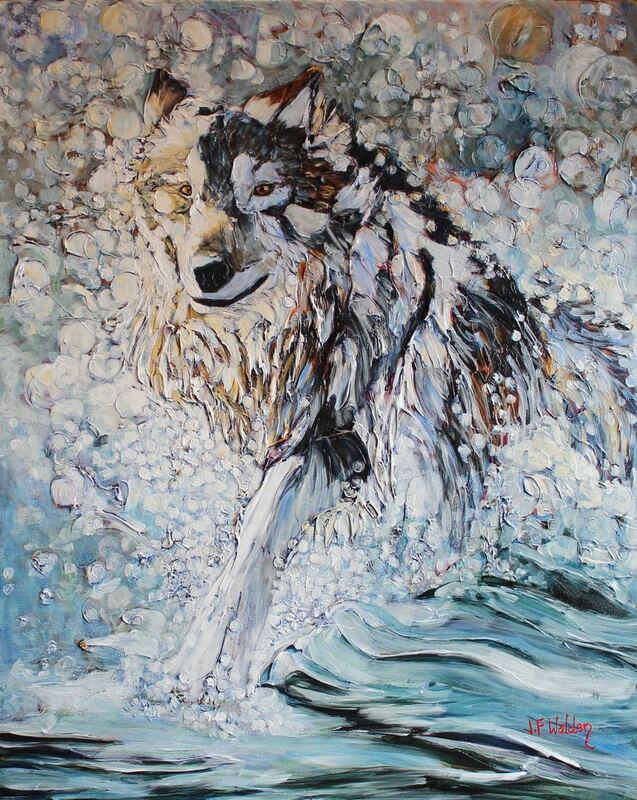 In 2008 she received the Great Northern Arts Festival “Most Promising Emerging Artist in a 2 Dimensional Media” award and her painting “Herd Migration” was selected by Northwest Tel to grace the cover for the 2009/2010 Northwest Territories telephone book. 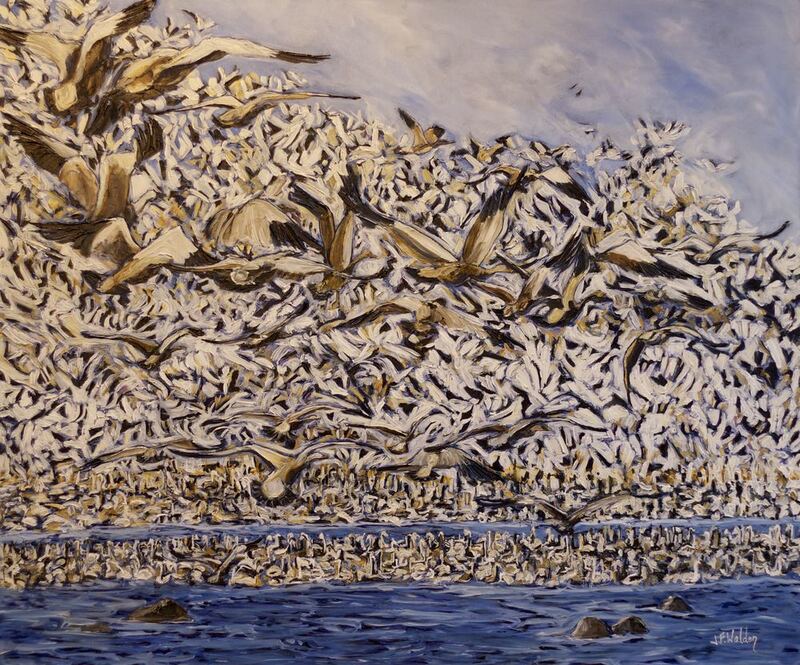 Walden’s paintings are currently displayed at The North End Gallery in Whitehorse, Visual Effects in Yellowknife and at the Inuit Gallery of Vancouver.